Formula 1 racing is the pinnacle of automotive racing technology where performance and technologies employed challenge the very laws of physics. 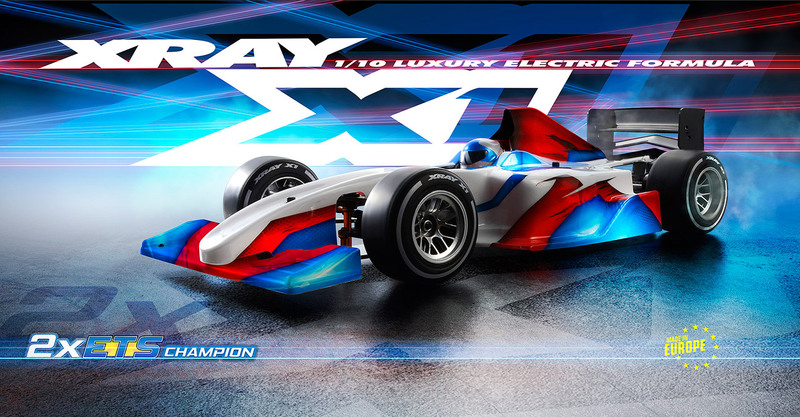 Inspired by full-scale Formula 1 race cars, XRAY presents the all-new X1 based on XRAY’s European Championship-winning X12 pancar. Sharing many high-performance parts with its smaller cousin, the X1 has incorporated all of the finest details to achieve a state of race car perfection. Legendary XRAY premium design, workmanship & material quality, and unmatched attention to detail result in a state of perfection achieved by well thought-out refinements to create a car that is easy to drive, work on, and adjust. 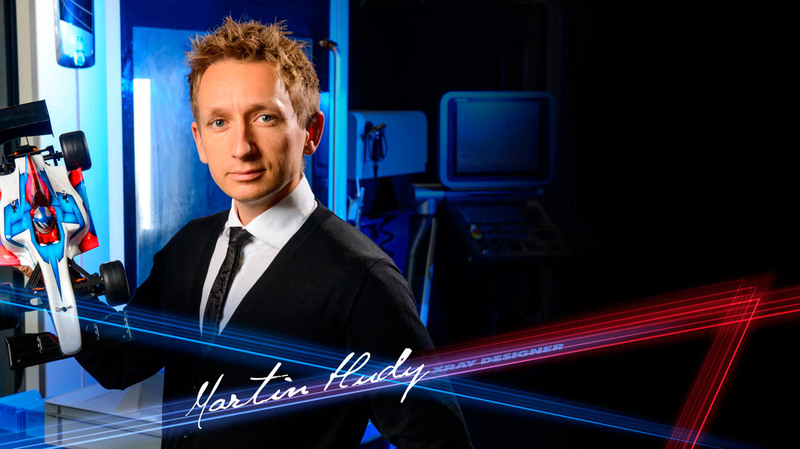 From unique HUDY Spring Steel™, through the world’s strongest Swiss 7075 T6 aluminum, along with XRAY’s own secret composite materials, to premium high-grade graphite materials… everything is exclusive and premium on the X1. Using premium European exclusive materials crafted by XRAY’s engineering artists using state-of-the-art German, Italian, and Swiss CNC machines, the X1 is born from the finest the world has to offer. No other 1/10 Formula car has had such an incredible prototype debut than the new X1. Jan Ratheisky and Francesco Martini debuted the first X1 prototype at its first official race at no less than the world's most competitive race series – the ETS series. They went on to have the most successful prototype debut ever by achieving an overall ETS season Formula Champion title by Jan Ratheisky, and 3rd overall position by Francesco Martini. After an outstanding debut at its first release, winning the world’s most competitive race series ETS, Team XRAY continued in the 2015 season by taking home the ETS title again! Now the rest of the world can enjoy & race the same ETS Championship-winning Formula car; trialed by fire and successfully proven in the most competitive racing series in the world. Learn more about the development of the X1. Read Exclusive story by Martin Hudy. The all-new floating servo system mounts the servo either completely independently from the chassis, or mounts it affixed to the chassis. The servo mounting method influences chassis flex and handling. The all-new steering system allows the steering arm to be mounted either independently from the chassis, or affixed to the chassis. The steering arm stand mounting method influences chassis flex and handling. Lateral side damper tubes replace the side shock for smoother, more consistent operation. The side tubes provide ultra-smooth side damping, making the car easier to drive and easier to work on. The outer aluminum tube and inner composite tube operate ultra-smoothly. The rear graphite brace has a new design to allow the side tubes to be mounted on the car so that an optional side shock may be mounted as well. The rear pod upper plate has a new design to allow the side tubes to be mounted on the car & also allow an optional side shock as well. The new design allows for easier mount/ dismount of the center shock. The central graphite mount plate has a new design to allow easier mounting/dismounting of the shock absorber. The center shock is now mounted in the easier & more accessible manner. The composite bushing has been replaced by a screw & nut which allows mounting/dismounting the shock without damaging the thread in the composite bushing. The new adjustable rear wing allows easy adjustment for varying track conditions. The highly-efficient rear wing works together with the X1 racing body, which has air flow channels to direct air onto the wing to help generate rear traction and stabilize the car in chicanes. The new aerodynamic X1 racing body has a significantly-improved performance design which results in higher downforce, increased stability, and improved steering. The body is wider to improve stability as well as fitting the new side tubes, the side walls were modified for maximum downforce, and the nose of the body was redesigned to improve air flow and steering characteristics. This high-performance, low-profile aerodynamic body was designed to perfectly fit the new X1 and to work under all track conditions while keeping the F1 style and look. The integrated helmet ensures the body is legal for races where a pilot figure helmet is required without adding extra weight. The rear pod upper plate and rear link brace allow to mount optional ultra-precise micro-size side shock which is machined from premium Swiss 7075 T6 aluminum. The shock absorber is silicone oil filled to ensure constant and ultra-smooth damping. The side shock delivers maximum traction, especially in low-to-medium traction conditions. Lower roll center position/ride height is adjusted via shims inserted beneath the front lower suspension arm alu stands.